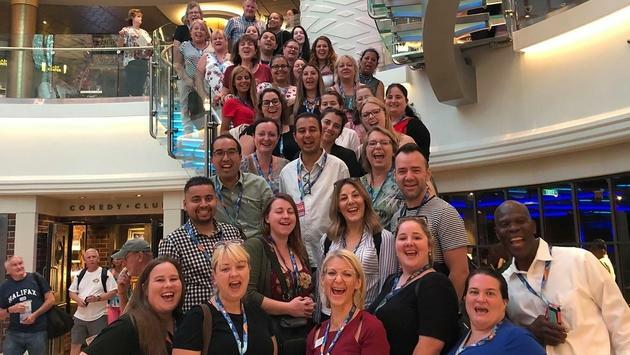 Canadian Agents Celebrate With TravelBrands and Norwegian Cruise Line. TravelBrands has wrapped up its cross-Canada Agent Appreciation Events. But the fun is just beginning. TravelBrands hosted shows in Toronto, Ottawa, Quebec City, Montreal, Edmonton and Vancouver from April 1 until April 10, 2019. Agent Appreciation Events brought out over 2,500 from coast to coast. In each sold-out event, the TravelBrands team showcased new updates and changes to the organization. Notable updates include new technology, fraud detection, the integration of Uplift and more. TravelBrands also unveiled its new Bucket List collection and expanded its SoftVoyage partnership offering TravelGenie packages through SIREV. Travel agents can learn more about TravelBrands’ latest updates and contest by visiting www.travelbrandsaccess.com.